At Neptune Hotel, a neatly appointed room awaits you! Built in 1920 and recently remodeled, our landmark hotel can accommodate up to 66 guests. A reception area, lounge, and 24 Hour reception will make you feel welcome and help make your stay in NY stress-free. After a day of seeing the sites of NYC or enjoying the multi-ethnic cultural events in our neighborhood, unwind over dinner ordered in from one of the many local restaurants and enjoy access to in-room TV and Free Wi-Fi in the privacy of your room. Take a hot shower in one of our clean shared bathrooms with a complimentary towel and soap and prepare to enjoy a quiet, secure night of sleep. 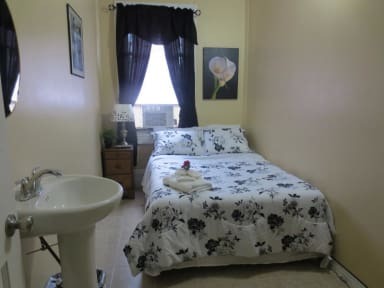 All rooms are single or double occupancy and are furnished with one full size bed, a table or desk with chair, as well as a place to hang and store your clothing. Shared, clean bathrooms on each floor with easy access from most rooms. Rooms with private bathrooms available upon request. Deluxe suites available as well. Can be flexible on request. 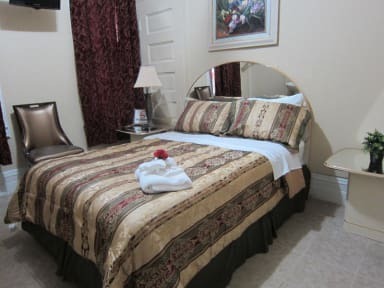 Taxes not included - 14.75% and occupancy tax 3.50 USD per room per night will be added. Crib/pack and play available for babies upon request after booking.